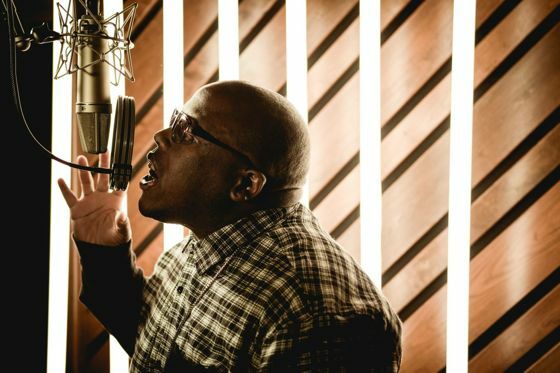 While scrolling through Krizz Kaliko’s discography, you’ll find that he’s been asked to guest-feature on multiple tracks throughout his career. This could be due to his ability to rap incredibly fast, his singing, or his distinct voice in general. Regardless of the reasoning, Krizz’s vocals have aided in the creation of some of the most admirable tracks in not only Strange Music’s catalog, but all of hip hop. With Krizz’s GO coming next month (April 8th), we decided to spotlight a few times Krizz “stole the track”. Several tracks came to mind while putting together this list, but it’s only right to kick it off with a classic. “Midwest Choppers” started a wildfire throughout the Strange Music fan base, and is amongst the top when it comes to fast-rap tracks. With Tech setting the bar high on this one, Krizz Kaliko doesn’t fail to maintain his “Chopper” status while handling the fourth and final verse. Though the title may lead you to believe otherwise, there’s nothing dysfunctional about this record. As Krizz joins label-mate Big Scoob on Tech N9ne’s “Dysfunctional”, he proves to us that he not only has multiple flows, but can also construct a damn-good chorus. “FU Pay Me” is a must when mentioning great Krizz Kaliko verses. This one was chosen not for his lightning fast word-play, but for his ability to camouflage himself into the beat – seemingly turning into a human synthesizer. Aside from Krizz showing off his unreal talent, “FU Pay Me” is a subwoofer’s best friend and deserves a listen. Speaking of bass-heavy tracks, why not throw in “Gain Green” from Messy Marv’s Draped Up and Chipped Out 4? The compilation album consists of artists from all over the country, including Strange Music’s Tech N9ne, Big Scoob, and Krizz Kaliko. Krizz finalizes this bay-area banger with a choppy, battle rap flow – accenting the production perfectly. Last but far from least, take a listen to Tech N9ne’s “Cypher IV”. As you may have noticed, this beat also laid the foundation for “Midwest Choppers” and was resurrected for the new Strange Music emcees to take a jab at. Krizz Kaliko returns to this Seven-produced banger with label-mates Rittz and Prozak. Kicking off the record with his incredibly fast word-play, Krizz lays a verse that will even have you gasping for air. Can you think of any other times Krizz “stole the track”?